George W. Bush Presidential Center presents "Away from the White House: Presidential Retreats"
Perot Museum of Nature and Science presents "The Art of the Brick"
Bye-bye Parks and Recreation. You're 5,000 candles in the wind. 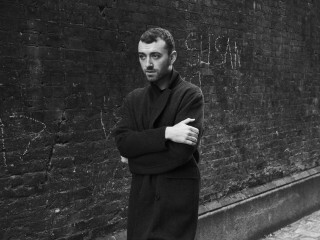 Soulful singer Sam Smith has enjoyed quite the breakout year since the release of his debut album, In the Lonely Hour. Now fans will be able to see him perform in a venue commensurate to his stature when he plays at Verizon Theatre in Grand Prairie on August 17, 2015, as part of a forthcoming North American tour. The stop in the Dallas area will actually be Smith's final tour date, immediately preceded by concerts in Houston (August 14) and Austin (August 15). In all, Smith will visit 19 cities in the United States and Canada in a month. Smith rose to fame in 2014, mostly thanks to the ubiquitous presence of his hit song "Stay With Me." That song somehow never reached No. 1 on the Billboard charts, but it did net him two Grammy Awards for Record of the Year and Song of the Year. Smith also won Best New Artist and Best Pop Vocal Album. Tickets go on sale to the public beginning Friday, February 27, at 10 am; American Express card members can purchase tickets before the general public, from February 23 at 10 am through February 26 at 10 pm. This is Smith's second area appearance since the release of In the Lonely Hour, as he also played at the House of Blues Dallas in October 2014.